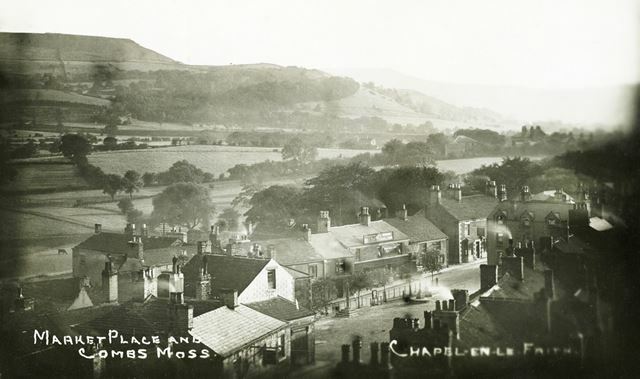 Elevated view of the Market Place and High Street, Chapel en le Frith, c 1910 ? An elevated view taken from the tower of St Thomas a Becket Church looking south-west with the Market Place and High Street in the foreground and Combs Moss (or Edge) in the distance. The valley of the Warm Brook lies in-between.